Hi, my name is Wayne, that’s me second from the right. I’m from Figtree in New South Wales, Australia. I’ve played golf for almost 30 years and am a member of Port Kembla Golf Club which is a short distance south of town on a beautiful spit of land bordered to the west and east by water and the beach. The course is long at 6,300 metres, tree-lined, and a legitimate championship test. I am currently playing off a 6 handicap. My first time golfing in Thailand (indeed my first visit) was in June 2015. The courses looked great on the internet & I’d heard people were really friendly. 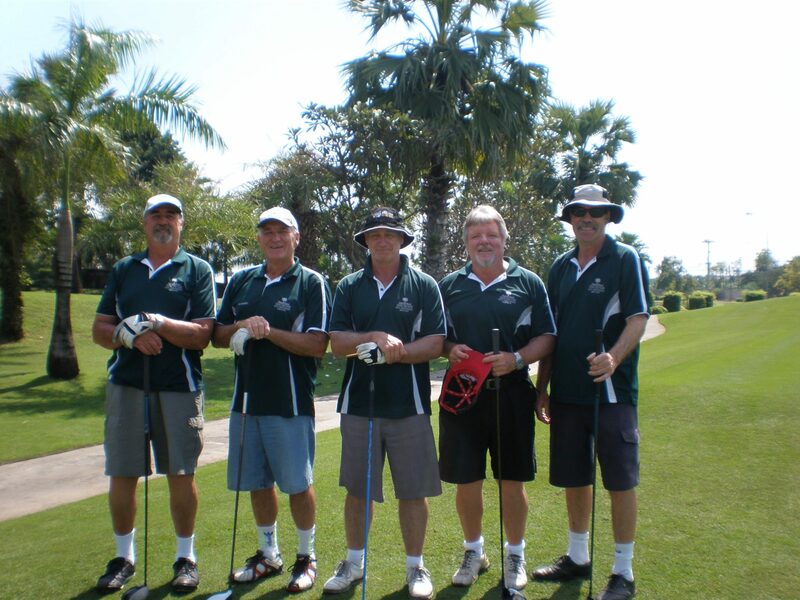 I travelled with 5 mates from the Figtree Hotel Social Golf club and returned in 2016 with 3 from the 2015 trip plus one other…all blokes. 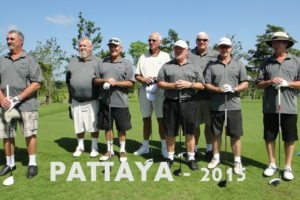 In 2015 we played 5 rounds in Pattaya and Bangkok with the following year taking in Hua Hin as well; 7 rounds in total this time. We travelled both times with Golfasian whom we found on the web. Our first impressions were outstanding. The tour was so very well organised from the collection at the airport to departure, absolutely seamless. Straight away Thailand made a big impression and was a wonderful experience. The people are so friendly; nothing is a problem, everyone is smiling…it all seemed very carefree. Whether that’s the case behind the scenes it makes for a fabulous visit. We liked all our hotels, as good as anything I’ve ever stayed at: great locations, service and amenities. Despite it being Thailand’s low season and the start of the “rainy” period we had great weather, only a little hot. You couldn’t ask for more: great courses, delicious food and most of all the friendliness of the people. Our caddies were very good at their job and were prepared to have a good laugh. My favourite course(s) were the Jack Nicklaus-designed Laem Chabang Country Club (what I expect of a top championship course) and The Royal Gems which is a replica course comprised of many famous holes throughout the world including Amen Corner from Augusta. I’ve been watching the Professionals play these holes for years and now I was able to play them myself. Black Mountain was just magnificent and Khao Kheow Country Club a gorgeous layout, with Nikanti such a wonderful overall experience. After golf we’d spend an hour or 2 in the pool, have a few beers with the boys then all go out for dinner & a few drinks. All in all it was exactly what I had hoped for and more…I’ll definitely be back.